Clean Eating with Panera’s New Fresh Salads! Lindsay’s Tea Party is committed to bringing our readers clean, healthy and fresh options featured on our sites. 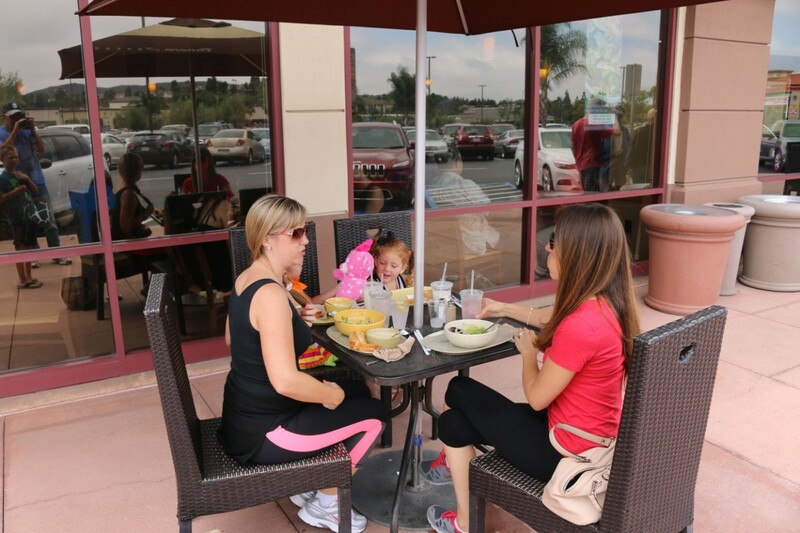 As an active, on-the-go Mom, I know first-hand how hard it can be to eat well and maintain the fast paced schedule that our family’s lifestyle is set to. I’m so pleased with all the new choices that my local Panera Bread is now offering. I am a self-proclaimed leaf eater! I love salads. I don’t even give it a second thought when I see that fresh salads are an option on the menu. It is almost always my go-to order! 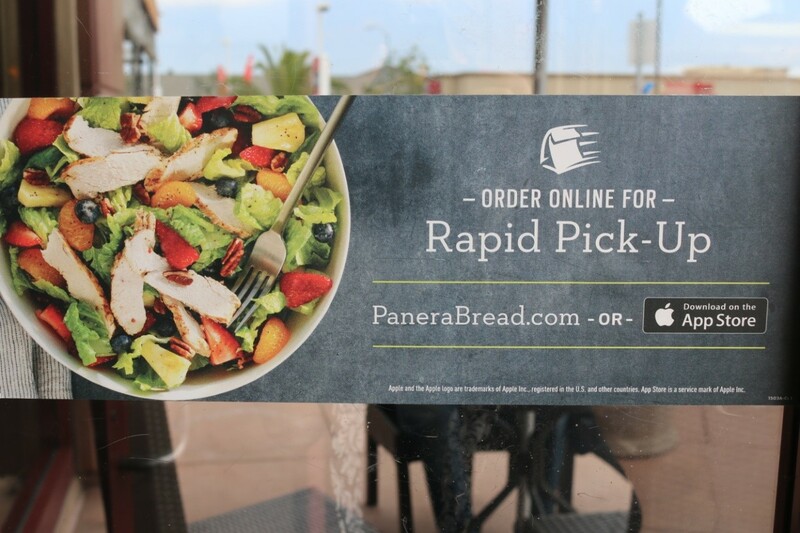 Not only does Panera offer salads that I can feel good about ordering (they have no artificial flavors, colorings, sweeteners or preservatives) but they also have a seasonal menu that I end up craving until I go back! Artificial preservatives, colorings, sweeteners or flavors should never be in our food! Check out Panera’s No No List to see all the things that you are not putting into your body with their clean eating menu options. The Fuji Apple Chicken Salad is my go-to-favorite! It’s hand-tossed and made to order plus the salad uses only the freshest ingredients like vine-ripened tomatoes, and crisp field greens. This salad creates a flavor combination as unique as it is delicious! The chicken is raised without antibiotics then mixed with fresh field greens, romaine lettuce, vine-ripened tomatoes, red onions, pecans, Gorgonzola cheese and apple chips and tossed in their white balsamic apple vinaigrette. It’s available in whole and half sizes. The half size is just enough for me and I am full afterwards but not too full. Plus you get to complete your meal with a choice of a fresh apple, baguette, roll or chips. This is a pretty quick, easy and delicious way to stick to clean eating. Let me know some other ways you like to keep to a clean diet! As the Editor of LTP, I receive promotional items and educational materials to use and share as I see fit. All opinions expressed are that of Lindsay’s Tea Party and are honest and reflect my actual experiences with Panera Bread. 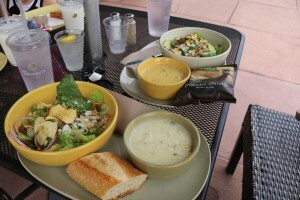 I would like to extend a special thank you to Panera Bread for the opportunity to review its yummy salad menu options and share my highlights with Lindsay’s Tea Party (LTP) readers.